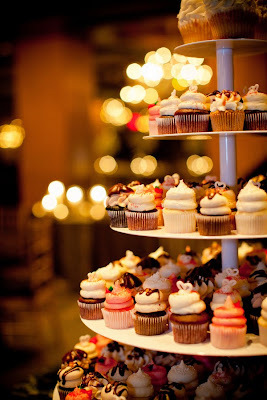 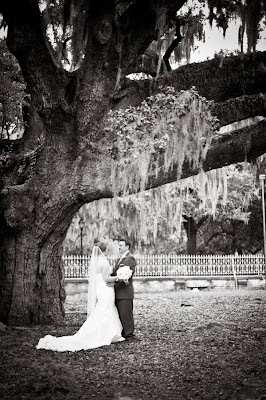 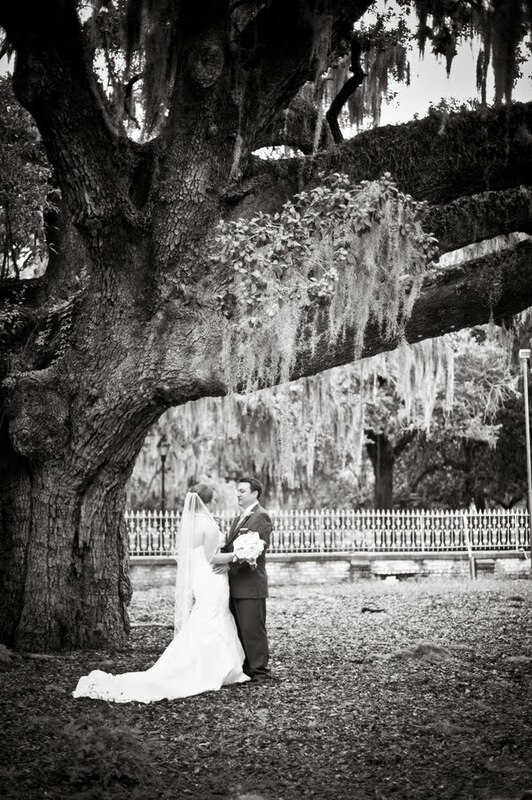 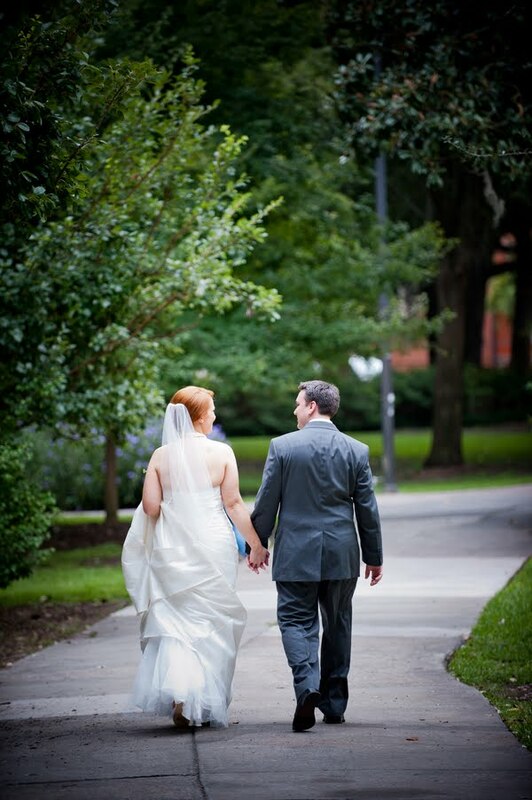 Destination Wedding Savannah: A Southern Stunner! 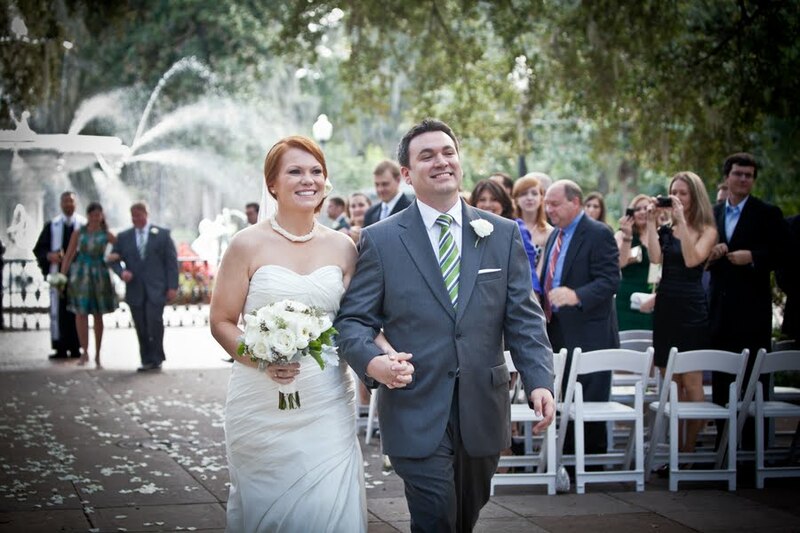 Lauren and Jeffrey wanted the vacation-like atmosphere which a destination wedding provides. 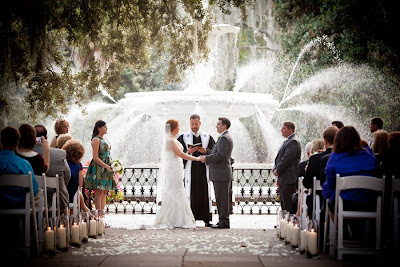 By choosing the beautiful city of Savannah, Georgia, they accomplished just that. 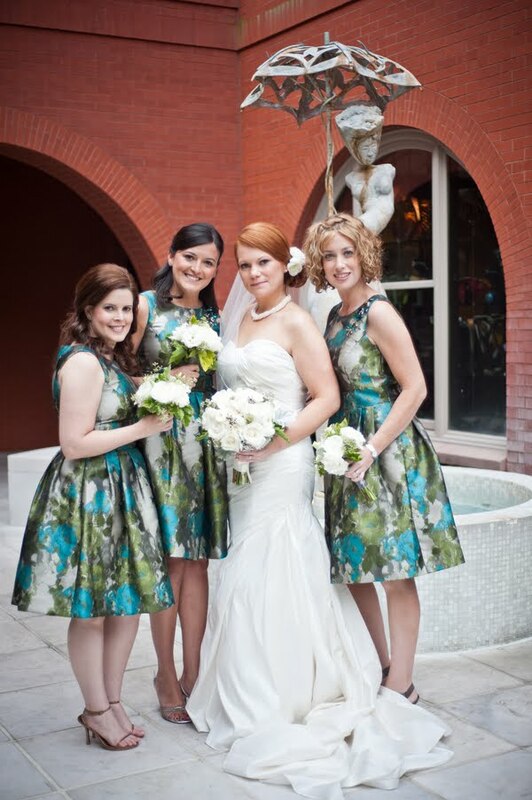 With an international destination not possible, Savannah was the perfect compromise as it was halfway between the bride’s family in North Carolina and the groom’s family in Miami, Florida. 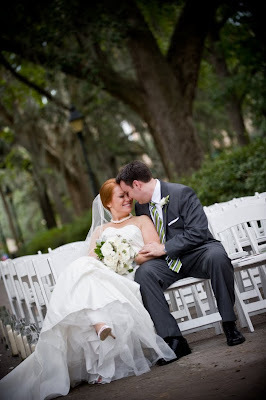 “We wanted a place which would appeal to guests of all ages…Savannah’s character: quintessential Southern charm and hospitality were the icing on the cake,” recalls Lauren. 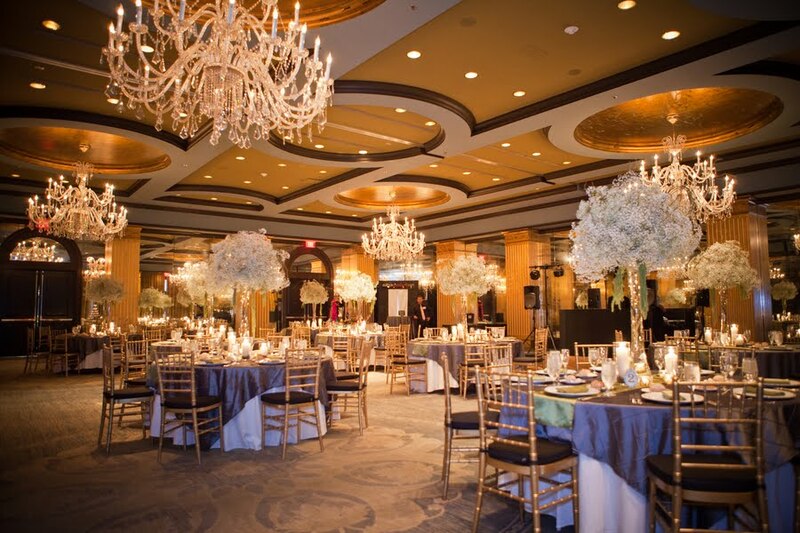 The overall planning process went smoothly and the couple doesn’t believe a destination wedding is all that much more difficult than pulling off a hometown wedding. Since most of the communication is done over email regardless, Lauren and Jeffrey didn’t run into any problems. 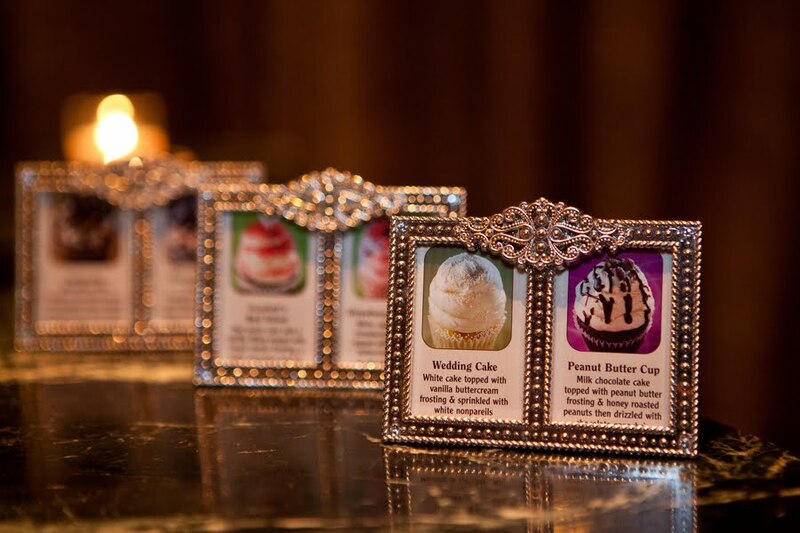 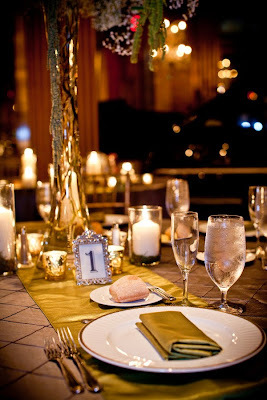 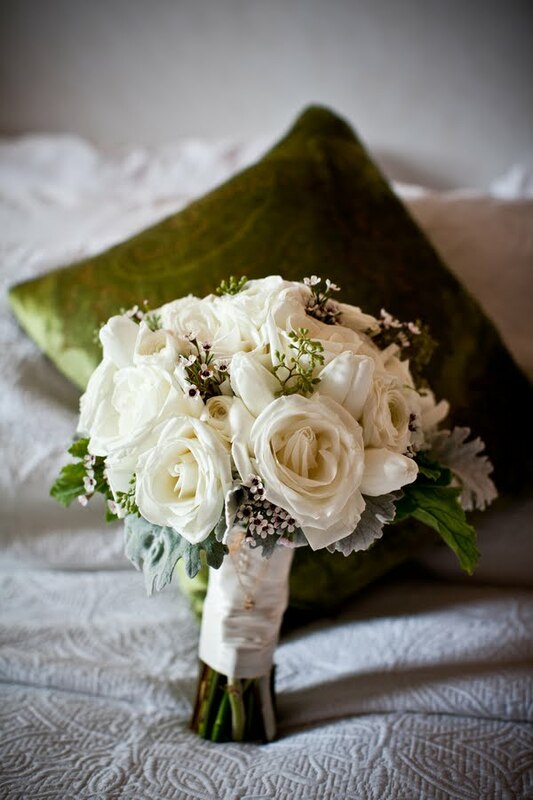 In order to keep things simple for their guests as well, the couple kept them informed on their wedding website. 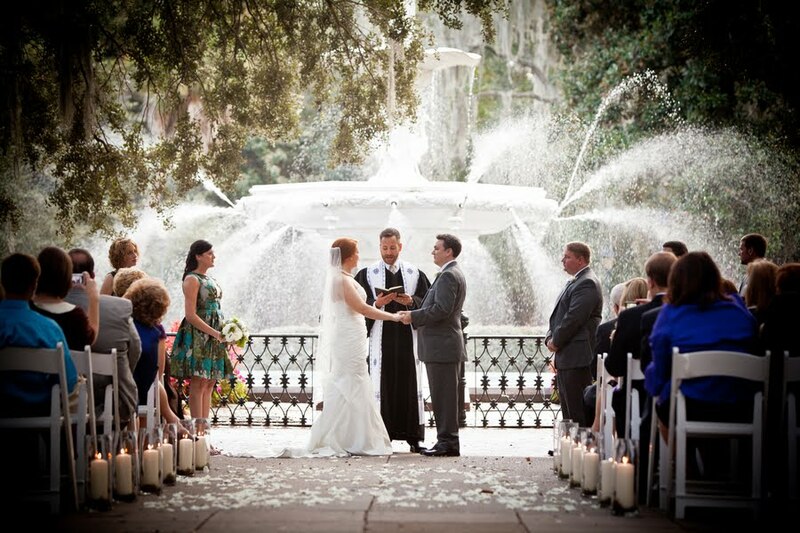 Along with a romantic setting and sentimental exchanging of vows, the couple got the vacation-like atmosphere they wanted for their wedding. 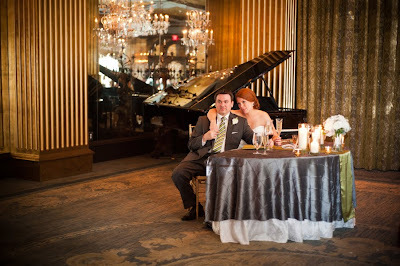 Because they got to spend so much quality time with their guests leading up to the wedding, the couple didn’t feel pressured to spend their reception mingling with each and every guest.